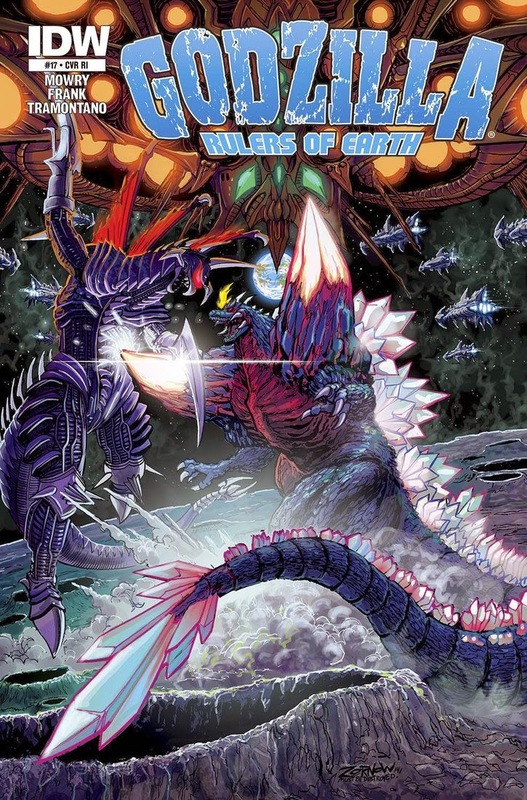 This issue of Rulers of Earth starts off with Godzilla ,and Anguirus heading out to sea going there separate ways after their battle with the MechaGodzilla's and Mecha-King Ghidorah . Lucy from the kaiju team then finds the two twins that were working with the cryogs knocked on the ground. Lucy then has a vision of Godzilla and a bunch of other kaiju after touching the two. I believe that these twins are the same twins that were Battra's versions of the shobijin from the earlier Godzilla comic series. 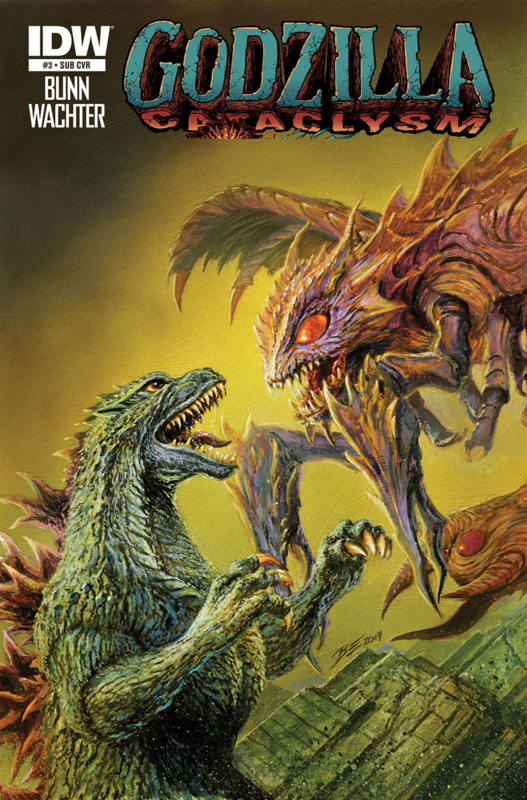 The Godzilla Cataclysm series has been a pretty interesting one so far. The series takes place in a post apocalyptic world. The kaiju have brought about the end of the world but have not been seen for so many years, That many believe them to be things of legend now. Very few human survivors remain spread out across the world in small camps. Many of the living believe the kaiju were gods angry at them, so now they worship and perform human sacrifices for the kaiju.